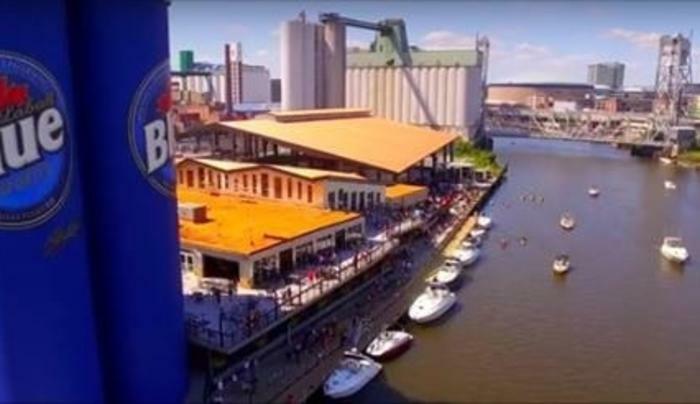 You may already know Buffalo RiverWorks as the place with the massive grain elevators painted to resemble a six-pack of beer visible from cruising altitude. But RiverWorks is much, much more. One of Buffalo’s remarkable examples of adaptive reuse, RiverWorks is constructed in the footprint and ruins of the former GLF grain silos, a reminder of Buffalo’s strong industrial heritage. 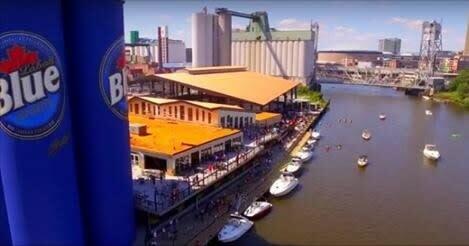 This brewery, restaurant, sports, leisure, adventure and entertainment complex has become a one-of-a-kind destination along Buffalo’s waterfront featuring fun throughout summer and winter including ziplining, rock climbing, roller derby, ice skating, curling and more!